Regardless of whether you are an alumni or a first-time visitor to Keio, chances are you have never heard of the Jukukan-kyoku. This name, which might feel a bit old-fashioned, refers to both the building at Mita Campus as well as the administrative offices that support the university and can be roughly translated as the “Keio Corporate Administration.” The building, now 90 years old, has grown together with Keio University over the years. While unfamiliar to many Keio students today—as most rarely have occasion to visit the building—the Jukukan-kyoku is built of brick in the Gothic tradition and located near the East Gate of Mita Campus, between the Old University Library and the Mita Media Center. Over 90 years have now passed since its completion in 1926 by Tatsuzo Sone and Seiichiro Chujo, who also designed the Old University Library, which was completed in 1912. The word Jukukan-kyoku, again, is not only the name of a building. 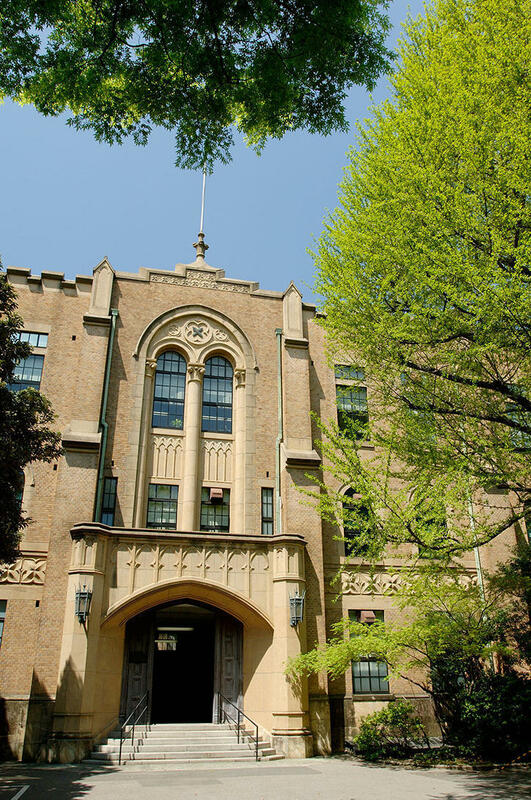 It also refers to the administrative offices that are responsible for the general affairs of Keio University. The rare name is thought to have derived from the jukukan administrative offices of Tekijuku, Ogata Koan’s school where Keio founder Yukichi Fukuzawa studied as a young man and which would later become Osaka University. “Article 5: To gain admission to the school, you must provide proof of identity to a professor and receive permission from the Jukukan-kyoku." From this, we know that even at that time the Jukukan-kyoku helped handle admissions. 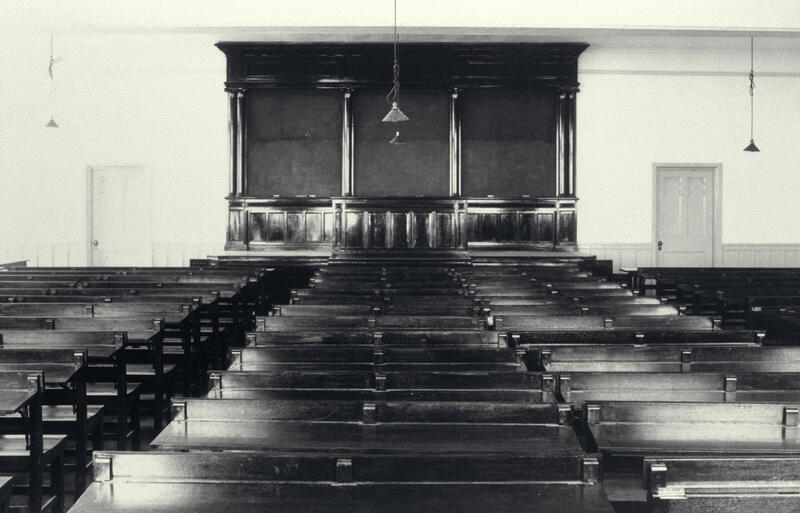 After the school’s move to Mita, the Jukukan-kyoku’s role grew from admissions to managing dormitories and attendance as well as book lending and other educational affairs, effectively functioning as the administrative arm of the school. And with the evolution of Keio, the role of the Jukukan-kyoku continued to gradually expand. According to regulations regarding the division of work duties from around the turn of the 20th century, all Keio matters were to be handled through one of three positions: the vice principal, the jukukan (head administrator), or the head of accounting. The position of jukukan was created primarily to oversee administrative affairs and management of the Kishukusha—Keio’s first dormitory. The position came to possess as much authority as the vice principal of education. Eventually, the position of jukukan was eliminated, and in the early 20th century the phrase Jukukan-kyoku came to mean the headquarters of Keio’s administrative offices. 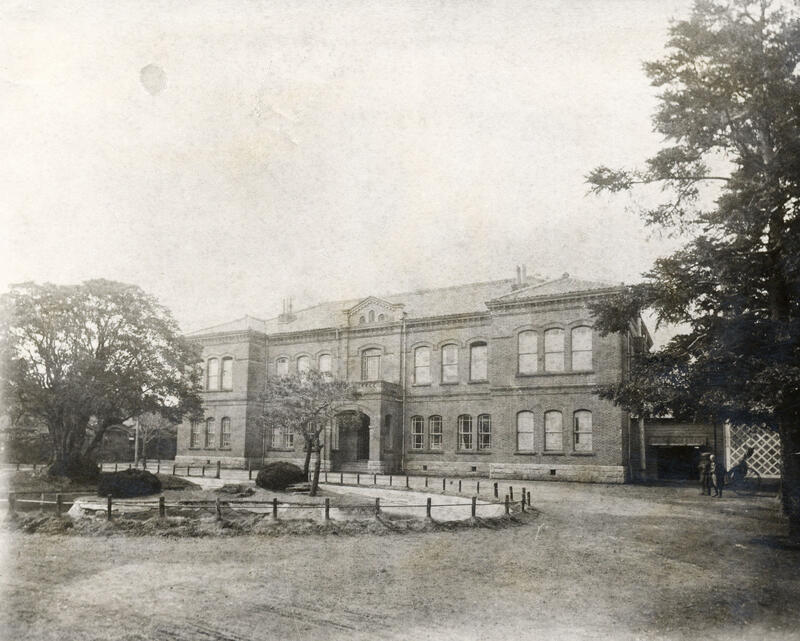 Its halls housed Keio’s first undergraduate faculties, established in 1890, and were later used for classrooms and Jukukan-kyoku offices. 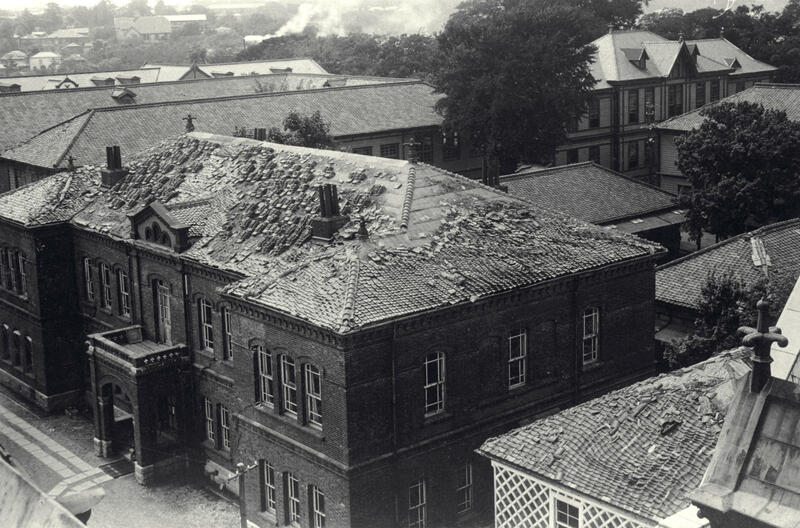 While the building was damaged during the Great Kanto Earthquake of 1923, it was the aftershocks that rendered it unusable, and the building was demolished the following year. 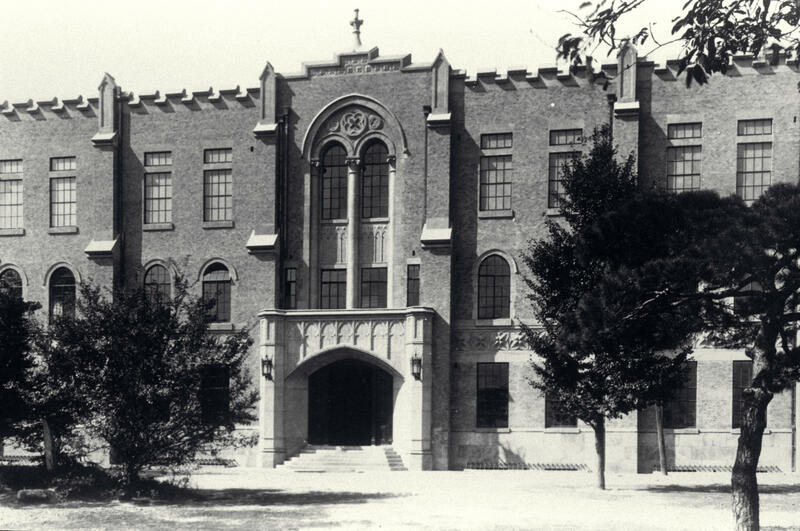 The building you see today was built on the same site in 1926. The organization of the Jukukan-kyoku underwent several administrative reforms both before and after the Second World War to adapt to the mounting administrative responsibilities of the times. The current organizational chart of Keio shows the large branches of the educational structures that comprise the university and its extensive network of integrated schools. The Jukukan-kyoku, the core of Keio’s administrative offices, makes up another large branch, the heart of of Keio’s corporate arm. Inside the physical Jukukan-kyoku building itself are the Administrative Affairs Office, Office of Human Resources Management, Accounting and Finance Office, Facility Management Office, and Office of Communications and Public Relations. While the austere simplicity of the Jukukan-kyoku has never become as symbolic as the Old University Library, it has kept a watchful eye over Keio as a quiet pillar of support throughout its history.